Packet Analysis | CCIE or Null! Monitor mode support for Windows wireless analysis. This is a huge one in my book, this functionality was brought over from the Npcap change. A few other random tidbit, bootp dissector is getting renamed to dhcp. Similar to SSL getting renamed to TLS. ciscodump now supports a proxy connection, I am going to need to check this out, as ciscodump utilizes the Cisco EPC capability. Which apparently I haven’t got to kick the tires on just yet. So, I think I am late to the game on this one, but proxy supports make this easier for some environments. There are quite a bit more changes, many new protocols were added and well as even protocols were updated. For the sake of brevity I don’t to cover everything, just a few of the pieces are find more interesting and useful. Link to the Wireshark release notes page. Well, my first draft got lost in the cloud so let’s try this again! The more you use Wireshark and the more familiar you get with protocols / packet analysis the quicker you realize what you may need to for. Luckily for us, if we know what we are looking for we can configure Wireshark to turn that needle in a haystack into a firework on the middle of Halloween. It does this by giving us the flexibility to control what information Wireshark displays to us and how Wireshark displays that information. The two most useful features we have are profiles and coloring rules, both of these are very powerful features and using both of these features together allows you to take your analyzing skills to the next level. 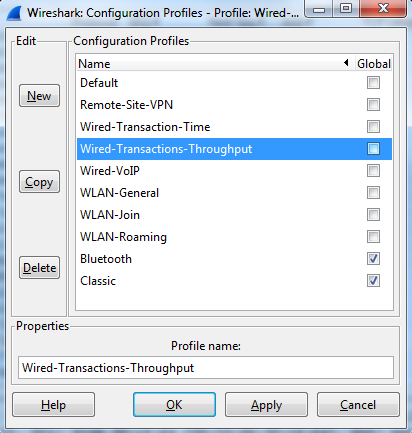 Profiles – Profiles give us the ability to control what information Wireshark displays to us, and how the information is displayed. Now, that we know some of the ways profiles affect Wireshark lets consider a few good use cases for profiles, below are a few profiles I have. Wired-VoIP – This profile will call out the DSCP field as specific column to easily keep an eye on QoS marking. Remote-Site-VPN – Calls out specific columns for the DF-Bit, IP & TCP length, and more fragment field. Wired-Transaction-Time – Contains specific columns for relative time & absolute time, etc. Those are just a few ways profiles can be leveraged, and remember it is easy enough to flip from one profile to the next. There is no need to even close the current capture or restart Wireshark. This allows to quickly scroll through a single capture looking for key characteristics. 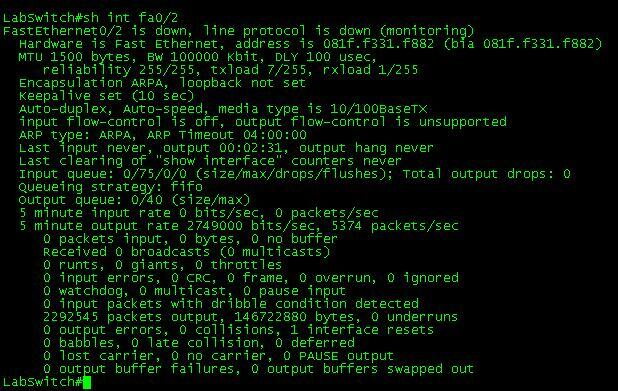 WLAN-RETYU-PACKET – This filter looks to see if the packet is a retransmission of the RF medium. Might be useful if you are troubleshooting a WLAN performance issue. FRAG-PACKET – This rule calls out any fragmented packets by keeping an eye out on the ‘More Fragments’ bit. Could be a useful statistics if you working on performance issues in remote IPSec VPN locations. Those are just a few examples to show how powerful the coloring rules can be, we can match on any field within the packet regardless of whether it is the Layer 2 MAC address or a piece of data with the application payload. Not mention we can match by multiple fields at the same time, talk about potential! The only thing I want to re-iterate is the matching is top to bottom, so in this example when Wireshark finds a Kerberos message it will hit the first coloring rule and no other even it is a retransmission. That is just something to keep in mind. From the above, you can see which coloring rule we hit and why we matched this specific coloring. Very useful in the event we ever need to troubleshoot our own coloring rules. So, now that we spent all this time creating profiles and coloring rules how do we back them up or transfer them to another laptop/desktop? Well, all these configurations can be transferred and backed up by copying only a few folders. 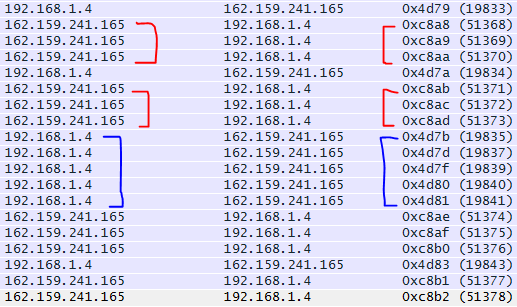 If you are running Windows 7, you’ll find this under AppData\Roaming\Wireshark for your specific windows account. It’s the Profiles folder we really want, once we take a look in there we see our specific profiles. Although you will probably be better off just copying the entire ‘Wireshark’ directory. 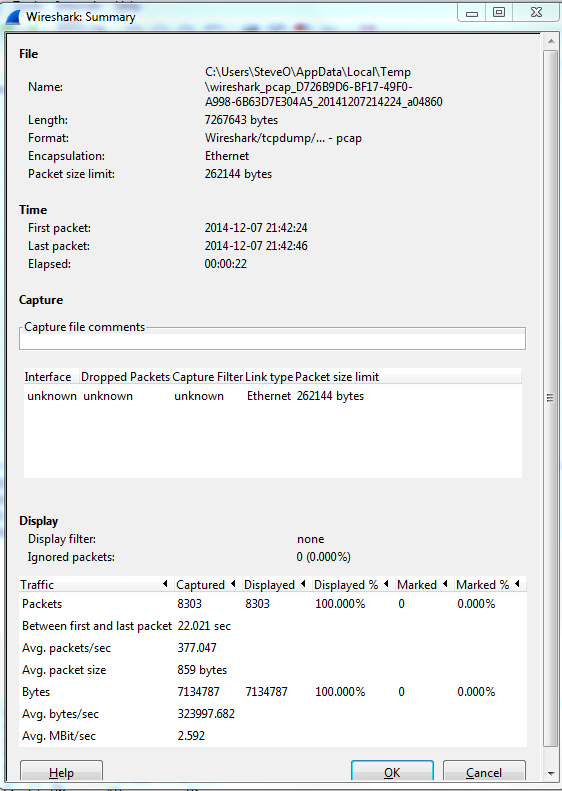 Wireshark tid-bit: Quickly gathering the contents of a PCAP. I don’t know about you but when I find myself performing packet captures and analyzing PCAPs I usually only know the symptoms of the issue I am attempting to troubleshoot. IE: Connection timeouts, slow response, long transfer times, etc. I usually don’t know much more than that, only in rare occasions do I get a heads up and insight into the behaviors of the application I am trying to troubleshoot. For all the other situations I need to rely on the PCAPs and interpret what and how the applications are communicating. Whether or not the application is behaving properly and performance is as it should be or if there is indeed something amiss somewhere. Packet Size Limit -Knowing whether or not the packets within the capture were sliced after the first so many bytes is important to know, as sometimes you might not see the entire TCP header or wireshark will start classifying the packets as malformed. Although you will also see a ‘Truncated’ message within the packet indicating the packet was sliced. First Packet, Last Packet, & Elapsed time -Matching up the time of a packet capture with when the particular issue occurred is crucial, after all you don’t want to find yourself analyzing the wrong capture. The Elapsed time is important to make note of as this give you the ability to establish a baseline, knowing how long a process takes can you help you identify an issue or identify expected behavior in the future. Avg. Packet Size – Depending on what you are trying to troubleshoot the average packet size can be a quick indicator in regards to whether or not your fully using the MTU an your network. If you are troubleshooting data transfers normally you would expect the Avg. Packet to be quite large. If you see exceptionally small packet sizes data transfers may take a lengthy amount of time due to the increase TCP overload and normal L3 forwarding. Same goes for the Avg Mbit/sec, if you have large packets flowing you can expect to see a higher throughput rate, and the opposite for lower packet size rate. The next spot that is worth checking out is the ‘Conversations’ which is also found under ‘Statistics’ this quaint little window gives you a brief overview of any Source/Destination devices identified within the capture. From an L2 Ethernet perspective up to a L4 TCP/UDP Perspective allowing you see what end points are really involved with this communication along with how much data was sent, the length of time the connection, etc. It’s not completely unheard of for applications to communicate with other devices (Web Servers, DB Servers, File Servers, Other App Servers) to perform whatever tasks it is trying to perform and it could be very possible this third server may or may not be slowing down the process. The length of time the process take. – Found in the elapsed time of the capture, as long as the entire process was captured that is. The endpoints involved with this communication. – Remember it is important to cut down as much background noise as possible. How much data is transferred and at what size & rate. – This can very helpful when working data transfers. Let’s look at: 802.11 Beacon Frames. Probably the most common 802.11 management frame is the beacon frame. This frame is broadcasted from the AP listing the capabilities of the WLAN, but what exactly is listed? Let’s take a quick look. Beacon frame with SSID broadcasting disabled. 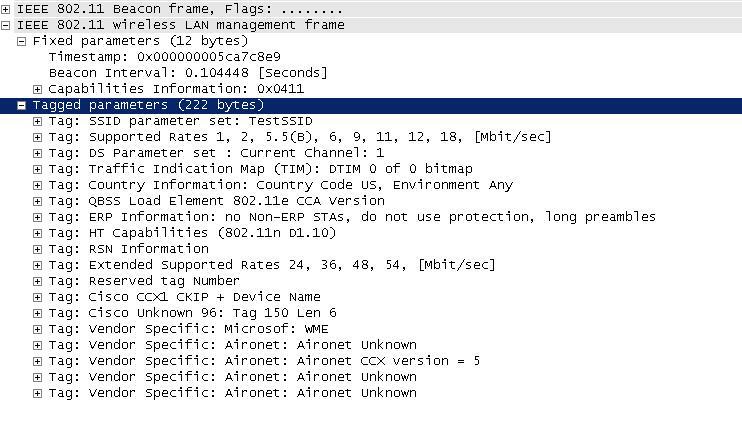 The SSID Information is simply excluded from the Beacon frame. Here you can see the a few supported data rates and the extended supported data rates. This tells us the WLAN is capable of supporting both 802.11b and 802.11g WLAN clients. You’ll notice the Data rate of 5.5 has a (B) next to it, it just so happens 5.5 is set a mandatory data for this WLAN, so if a WLAN client can not support a data rate of 5.5 it will not be able to successfully authenticate and associate to the WLAN. Next up we are going to at the RSN (Robust Security Network) information for this WLAN. As you can see from the RSN Information element (IE), this WLAN is 802.11i compliant, showing it’s capable of AES/CCMP which means your WLAN clients will need to support 802.11i/WPA2 with AES in order to successfully communicate with this WLAN. A few other noticeable features we can find in this beacon frame is the WLAN supports High-Throughput (HT), which is 802.11n (Draft 1 in this case). So this is an 802.11b/b/n WLAN in the 2.4 GHz RF range. This access point did not have multiple antennas attached to it, which is why the TxBF and ASEL capabilities are currently at 0x0000 and 0x00. 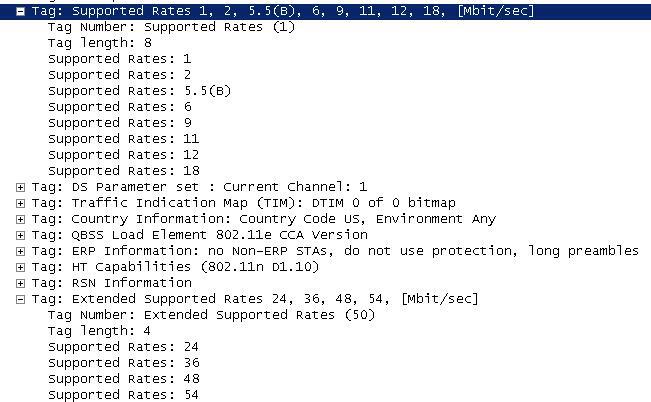 You will also notice in the 6th line down that the WLAN is 802.11e compliant meaning some QoS will be performed, and the line after that states: no non-ERP STA’s, do not use protection this states no 802.11b clients are currently connected only 802.11g WLAN clients are currently connected to this WLAN so protection mechanism’s are not in use. Now, at the end of the beacon frame you will notice all this Unknown information, as you have probably guessed (or read) this information is vendor specific, which is common for every vendor to have put their own proprietary information within the Beacon frames. The main thing is make sure this extra information does not create its own incompatible issues with older WLAN client devices. So in conclusion there’s a basic Cisco WLAN beacon frame, it should be a mirror image of the configuration for your WLAN. Looking at the beacon is just a simple way to make sure the WLAN is doing what’s it’s configured to do.